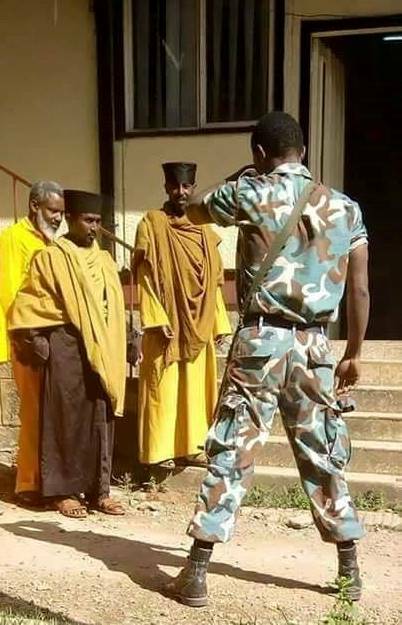 ልክ ነው፤ ይፈቱልን!የዋልድባ መነኮሳትም ይፈቱልን! 3. በእስር ቤትስ ዝም ብለው የሚቀመጡ ይመስላችኋል? ትምህርተ ሃይማኖትን አስተምርው ስንቱን እስረኛ አጥምቀው ወደ ክርስትና መልሰው ይሆን? ስንቱንስ ለንስሀ አብቅተው ይሆን? "...አባ ገብረየሱስ ኪዳነ ማርያምና አባ ገብረ ሥላሴ ወልደ ሃይማኖት የተባሉት ተከሳሾች ለፍርድ ቤቱ ያቀረቡት አቤቱታ፣ በማረሚያ ቤቱ የተሰፋ ዩኒፎርም ‹‹አንለብስም›› በማለታቸው ሲታሰሩ ከለበሱት ልብስ ሌላ መቀየሪያ ልብስ እንዳይገባላቸው በመከልከላቸው፣ ፍርድ ቤቱ መፍትሔ እንዲሰጣቸው መሆኑ ተጠቁሟል፡፡..."
እግዚአብሔር አምላክ አባቶቻችንን በቸርነቱ ይጎብኝልን! Dn Daniel, thank you for bringing us the truth. I don’t live in Ethiopia and I was looking for a good balanced voice to get information from home and I see you have that voice. 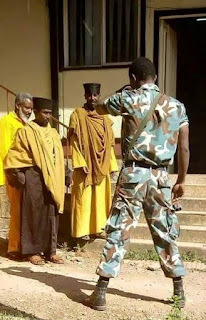 I will continue to pray for our country Ethiopia and the monks imprisoned. Please continue to write because there is many of us who are cautious to listen to any side as it seems to be filled with hate at the moment. That is not the Ethiopia I know and love. 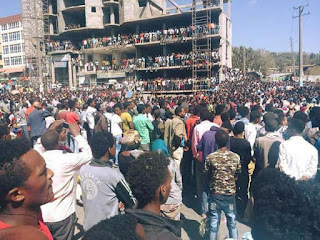 ETHIOPIA LE ZELALEM TENUR. IT IS A DIRECTLY FORWARDED AND A GREAT MESSAGE. HOWEVER, IN MY LIMITED UNDERSTANDING, THEY ARE LACKEY RESULTED FROM THE REWARD THEY WILL GET FROM THE HEAVEN.AS WE SEE, THE REWARD THE POLITICIAN GET COMPARATIVELY FROM THE HERMITS OF WALDIBA IT WILL BE INFERIOR.